Earlier this week, a small package arrived. Inside was a tiny box. Much to Roadside's dismay the box was so tiny that he couldn't even fit a paw inside of it! "This box appears worthless to me..."
I opened the tiny box to show him the contents. He didn't seem all that impressed, though. 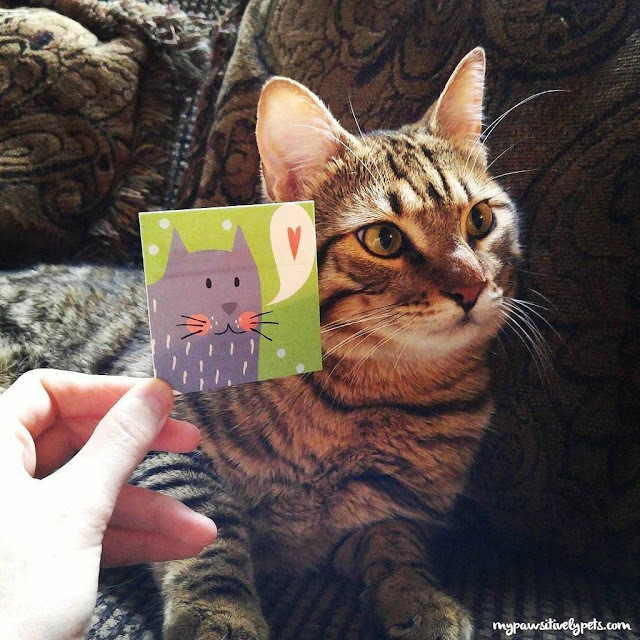 "This cat looks nothing like me!" If you haven't guessed where we're going yet, I'll let the cat out of the bag. 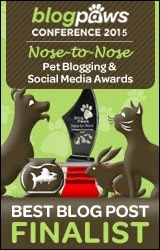 I'll be attending the BlogPaws Conference in Myrtle Beach, South Carolina this year! My trip is sponsored by AAHA (American Animal Hospital Association) and I'll be sharing more about them next week. In the meantime, you can learn more about AAHA and what they do HERE. I used to work for an AAHA accredited animal hospital, so I'm very excited to represent them during the BlogPaws Conference this year. Will I see you at the conference? Let me know in the comments! I just got the same ones I did last year to make things easier! 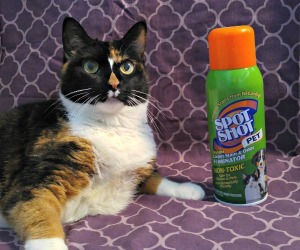 Have fun at BlogPaws! It was too grueling of a trip for us to go - involving a full day of travel each way so we are going to have to skip it this year. Next time I hope it is in more of a major city that is not so difficult to get to. I feel you. I'll have a long stop on the way home myself. How fun! Your business cards are so cute and I'm sure you'll have a great time! What cute cards! 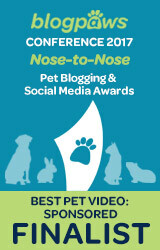 BlogPaws will be fun. Very nice cards. I wish I was going so I could meet you. 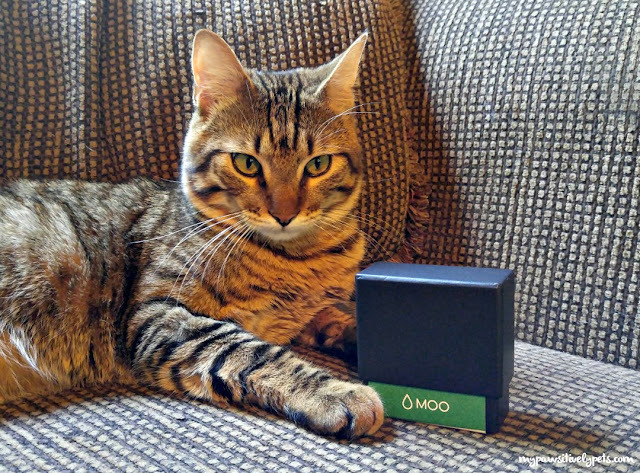 We got one of those boxes in the mail too! I will be there and look forward to meeting you, Ann! i love Moo cards, they are so cute. have fun. wish i was going to meet everyone. be careful driving thru SC. they love to catch speeders.